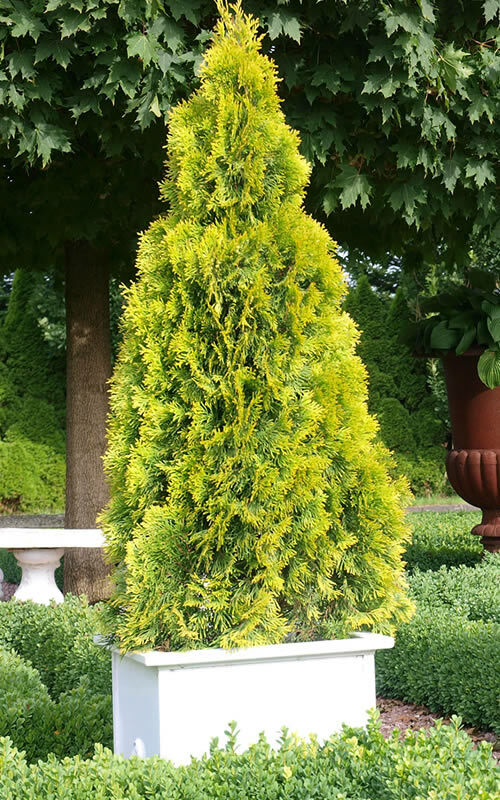 'Janed Gold', which goes by the tradename 'Highlights' Arborvitae, is an exceptionally attractive cultivar with intense yellow-gold evergreen foliage that maintains its color year round on a dense, upright pyramidal form. Scroll down for more details! 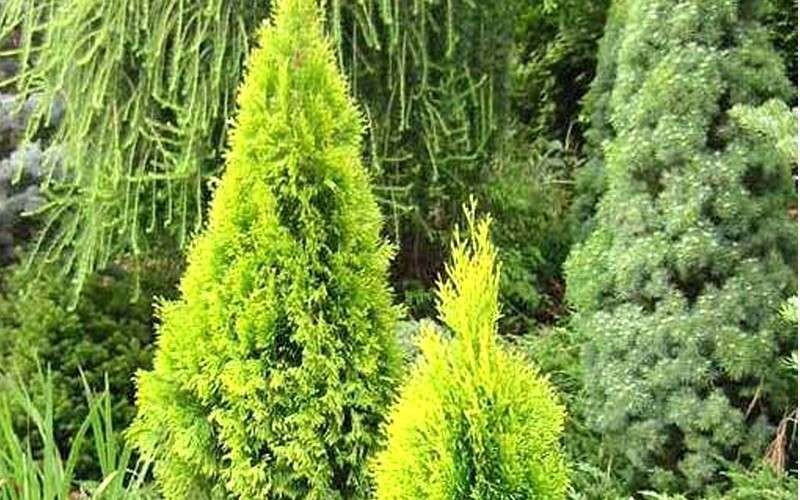 Arborvitae occidentalis 'Janed Gold', which goes by the tradename 'Highlights' Arborvitae, is an exceptionally attractive cultivar with intense yellow-gold evergreen foliage that maintains its color year round on a dense, upright pyramidal form. Growing naturally in a narrow, pyramidal shape 8 to10 feet tall and 3 to 4 feet wide, Highlights Arborvitae is great for use in the landscape or in pots, planters and other containers. 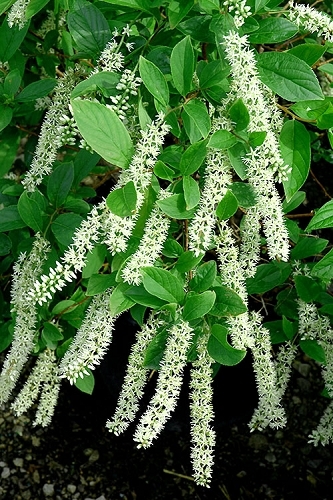 Use it as a colorful accent or in groupings in landscape borders or home foundation plantings, where it makes a perfect corner plant. Also useful as a natural hedge. A fine addition to conifer gardens, rock gardens, yellow-themed color gardens, and formal gardens. Arborvitae are very easy to grow and care for. 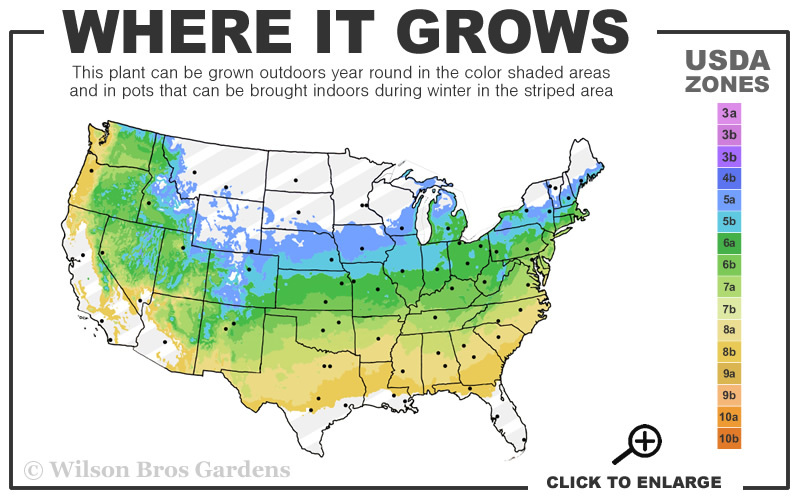 They are adaptable to many soil types including red clay and like full sun to part shade. They prefer a moist but well-drained soil. They don't like an overly dry site. As with so many other ornamental plants, constantly soggy or wet soil can be problematic. Maintenance is minimal with very little if any pruning ever required. 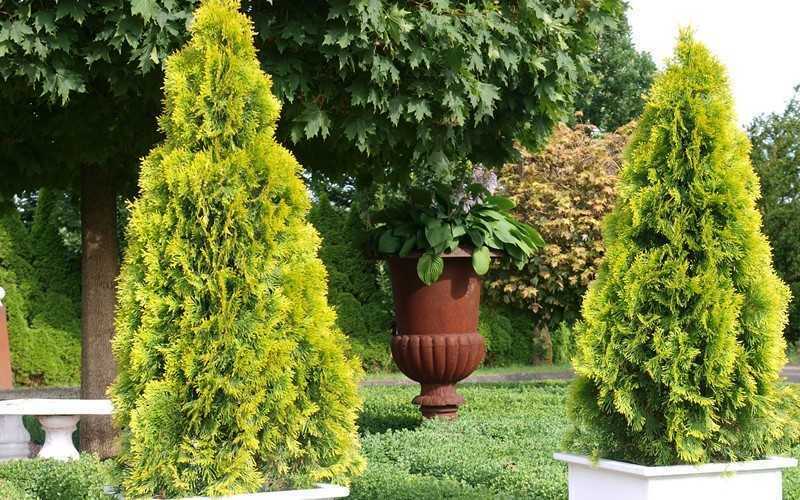 Click on a link below to find helpful advice from our experts on how to plant and care for Arborvitae shrubs. Q: Could you tell how tall are the trees in 6" and 3 Gallon pots? Thank you. Our Current crop of Highlights Arborvitae Janed Gold 3 gallons are 25 to 27 inches tall and 15-17" wide at the base. The 6" pots are 14-16" tall and 7-9" wide at the base. Sizes vary from crop to crop so if buying in the future please check for an update.